Who said a bracelet company couldn’t dole out running motivation?! 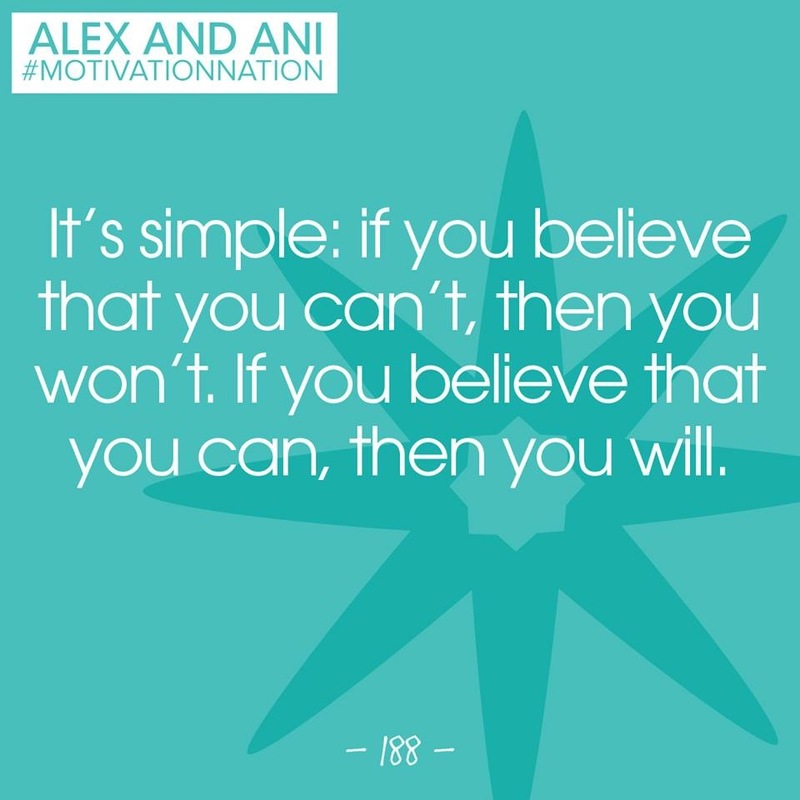 Well, Alex and Ani‘s #motivationnation statements and quotes are on point sometimes with running. A simple statement, but uber powerful! Move your mind out of your way. Don’t listen to that little voice saying “can’t” and focus on the one that is saying “it’s possible, I can”. Stop thinking negatively. Move towards possibility; move towards positivity. You can do it. I believe in you. You can. You will. Be brave. You got this! ← Friday Five: Do What?! Ok, now I”m ready to run and tackle the day! Thanks Melanie! Great reminder for today! Thank you!! Love this! I have a half next weekend that I’m really nervous for and I needed to hear that right now!